The digital age keeps us asking questions we once never dared to ask. One of them is this: can I be a real estate agent without having to work with a broker? Real is an app that helps answer that question and allows licensed agents to function as their own boss. The platform helps them manage appointments and leads, prepare contracts, research the Multiple Listings Service, and perform accounting and marketing. The app also provides leads (for free -- no referral fee charges). Other benefits to Real: a more lucrative commission split (starting at 85/15). Uber and other sites continue to destroy the need for a middle man, and the “given” of a central office continues to diminish. Real speaks to this, making it possible for agents to work on their own while still being 100% supported on demand (by chat, phone, or email). "The model is broken,". CEO and founder Tamir Poleg told Curbed. "We want to give agents the mobile tech they need to grow their own business and work from anywhere. It’s their business; that’s the idea behind Real. I realized that most other brokers are real estate companies using technologies. We’re a technology company within the real estate space." 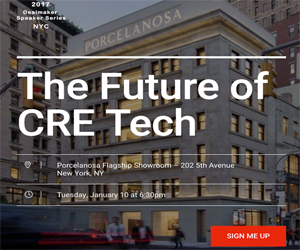 The idea -- and the Real revolution -- came to life in 2014, when Poleg and a team of real estate professionals, technologies and venture capitalists joined forces. The result: a full-service brokerage powered exclusively by technology. Dotloop integration is included, which is the standard in real estate transaction management platforms (used by Keller-Williams, Remax, and many others). A document library provides one centralized location for all relevant local and federal documents and marketing materials. Also included: Google Suite -- email, calendars, contacts, documents and cloud storage powered by Google, all under the agent’s own company account. Features fresh from the app include the ability to create comparative marketing analysis (CMA) reports in one click, as well as client messaging, information management, notes and tasks. Agents are able to research nearby homes for sale -- customized by filters -- that they can share with their clients with a single tap. The app can also help you build your own personal website in under 30 seconds, integrated with a local MLS/IDA feed (no coding required). In the true spirit of the working revolution, Real gives agents the ability to work from anywhere, at anytime. This includes an active community of fellow agents, where advice, mentorship and thought leadership can be accessed. Click here to find out more about Real. Click here to find out the states currently working with Real. Launching soon: Iowa, Kansas, Washington and West Virginia.